You likely have heard about the execution of Naw Kham, the Mekong Pirate found guilty of killing 13 Chinese in the Golden Triangle. See our prior coverage here. The moments leading up to the execution were televised live in China, although the execution itself was not. Siweiluozi’s Blog points out this violates the spirit if not the letter of Chinese law meant to curb such public executions. 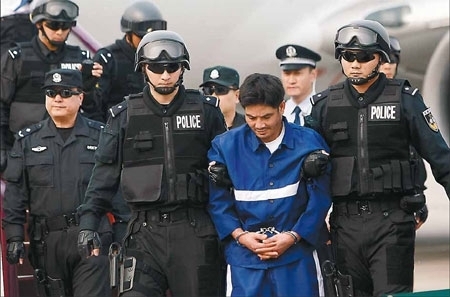 This prohibition was subsequently written into China’s Criminal Procedure Law, and the relevant Supreme People’s Court interpretation on implementation of the death penalty also prohibits “other acts that degrade the personality of criminals” (其他有辱罪犯人格的行为). Perhaps it is not illegal in China to broadcast live as the condemned are transferred to the execution ground, but I still oppose broadcasting live. Before, China used to have so-called public sentencing rallies and parade bound criminals in the streets for public viewing. Now, live broadcast of the transfer is no different in any real sense and is even more repulsive. Why? It is because the live broadcast voluntarily and consciously revived these kinds of backward, barbaric scenes lacking in any modern notion of rights or rule of law. The live broadcast even delivered these scenes right in front of your eyes, so that you didn’t even need to go out of doors or be in the streets: you could see the barbarity and backwardness from your own home. You could say, in other words, that this live broadcast was itself barbaric and backwards, displaying no progress at all. There have been some interesting revelations in the case of Naw Kham, the so-called Mekong Pirate who presided over a transnational criminal network in the Golden Triangle of the Mekong river basin. (prior coverage here). Although Naw Kham was convicted of murder, drug trafficking, kidnapping and hijacking across international borders, this does not constitute piracy under UNCLOS as it did not occur on the high seas. Nonetheless, the case provides a fascinating case study in transnational organized crime and has important analogies to piracy on the high seas. Chinese media have focused on the operation to capture Naw Kham, whereas Western media have focused on the fact that China considered using an unmanned drone to kill him. First the Chinese government-published Global Times provides details on how Naw Kham avoided capture by the Chinese in the Golden Triangle for so long. During the search, Naw Kham vanished at least three times just as the Chinese police were closing in. [Taskforce leader] Liu said that this was largely because the Chinese police were limited in what they could do overseas. They had to launch appeals before undertaking operations and cooperate with local police. But Naw Kham had lived in the Golden Triangle for many years and sometimes locals would aid him. At the end of 2011, Chinese police located Naw Kham at a village by the Mekong River in Boqiao Province in Laos, the hometown of one of Naw Kham’s mistresses. Chinese and local police encircled the village, but some local officials and villagers obstructed them. “We hit a stalemate. Police were not allowed to enter the village. Even though the local police head was with us, provincial officials were on the other side,” Liu said. 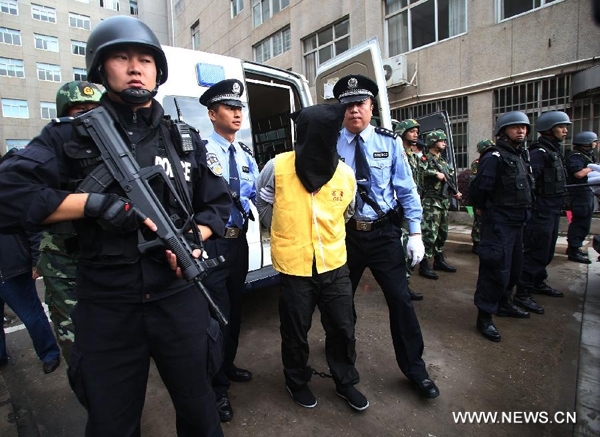 Liu finally found a senior military officer to help break the deadlock; however, police were only able to search six houses in the village and arrest the mistress and some gang members, seizing guns and cash. At night, Naw Kham crossed into Myanmar with the help of locals. This highlights the fact that transnational criminality, and piracy in particular, will thrive where three conditions coexist: (1) lack of naval/police enforcement; (2) existence of water-borne commerce of significant value; and (3) poverty – motivating foot-soldiers to take extraordinary risks. In this case, the geography and multiple borders provided cross-jurisdictional cover for Naw Kham. Without strong international cooperation, he would not have been captured. In contrast, the New York Times have seized on the mention in the Global Times article that China had considered using an unarmed drone to kill Naw Kham. Similarly, the United States had considered using unmanned drones against Somali pirates in the Indian Ocean, but that program suffered setbacks and U.S. drones were likely only used to surveil pirate-operations off the coast of Somalia. Ultimately, China decided not to use its new assets. Indeed, capturing Naw Kham with no reported casualties and without the need to launch a military strike in Thailand, Laos, or Myanmar was a much cleaner solution. It is fair to observe that China has generally disassociated itself with the flow of the international criminal justice. Voting against the Rome Statute in 1998 has best elaborated its stand on this issue. An “overly active” global court is perceived to have the potential to jeopardize state sovereignty, the cornerstone of the Five Principles of Peaceful Co-Existence China has consistently adhered to in its engagement of international affairs. A survey of China’s involvement with all the other UN-backed tribunals further confirms the above observation. Apart from Chinese judges, I am aware of only two senior staff to work in UN international tribunals. China is rarely interested in the work of these tribunals. Starting with low expectations, commentators were amazed, if not at all surprised, by China’s vote in favour of an international tribunal to prosecute piracy. In his speech at the UNSC debate, Chinese Ambassador Wang said his country would be in favour of the option of prosecution in Tanzania in an international court. 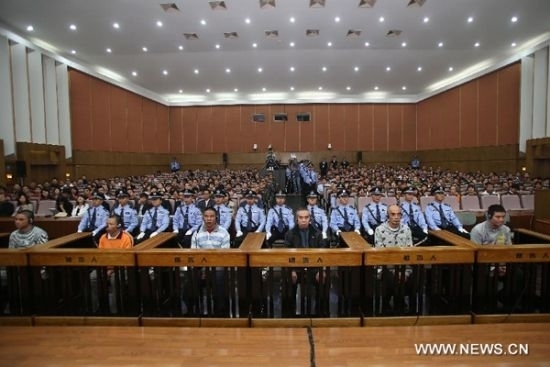 To what extent is this an indicator of China’s broader trend of engagement with international criminal justice? [although] this is the first time for the People’s Republic of China to participate in the proceedings of the Court, the Chinese Government has always held great respect for the authority and importance of the Court in the field of international law. If it is true that China has always paid tribute to the work of the ICJ, why is it only in 2009 that China first joined in its proceedings? One of the reasons is the nature of this case. It concerns the competing interests of the sovereign territorial integrity of a state and a minority group’s wish for independence under the principle of self-declaration. One may find it very easy to relate the situation to those China has been facing with regard to Taiwan, Tibet and Xinjiang. All of these regions are legally and constitutionally part of China and recognized as such by the overall majority of international community. Yet each of them has been through different degrees of secessionist movements, in particular Taiwan, which arguably has been enjoying a de facto independent status. Beijing has unequivocally submitted these territorial integrity issues as the core interests of China. To resolve these issues in favour of China has always been one of the foremost tasks of Chinese diplomats like Ambassador Xue and her team. Fortunately enough for us in favour of the proper functioning of international law, she has successfully persuaded the country and its rulers to endorse her endeavour at the International Court of Justice. Those who are sceptical of the above proposition might suggest that this is also true for the case of international prosecution of piracy: enormous Chinese interests are at stake. Chinese vessels are not immune to piracy. In a wave of pirate attacks in 2008, a Hong Kong vessel was seized in September 2008. Later another attempted siege was launched on a Chinese fishery boat in December 2008 and was fortunately defeated by “friendly countries’ force”. At the end of that year, China decided to send its own battle vessels to the area, a practice lasting until today. Nevertheless, Chinese vessels continue to be harassed by pirates. For example, the Chinese vessel “De Xin Hai” was seized in October 2009. After arduous negotiations, Beijing was forced to pay a large ransom. 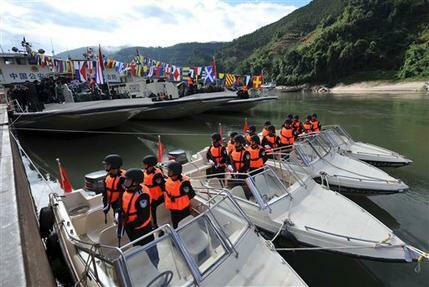 China’s efforts have also extended to transnational crime along international rivers, more particular the Mekong. 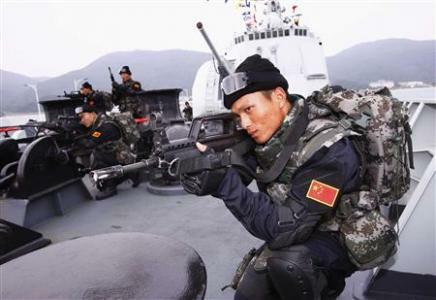 China has prominently displayed its naval force in response to recent deadly attacks along the river. In conclusion, a lesson has been learnt in Beijing: there must be an orchestrated effort in this regard, probably including the international prosecution of crimes. Having highlighted the special situation of these two cases, the question to be answered is will these be the only isolated incidents? I would refute that argument. Simply stated, for a country as significant as China with national interests interspersed throughout the globe, these examples tend to exhibit a general pattern rather than isolated incidents. No Chinese would have imagined China being so much involved in piracy off the coast of an East African country. Yet here we are. As Chinese have frequently said, there is always a direct cause and a fundamental cause for an event. Applying this formulation to the trend of engagement with international criminal justice, the tangible Chinese interests at stake are the direct cause whilst the fundamental cause is the rising awareness of the value of international law, the functioning of the international courts and at its remote back the growing role of China in the global affairs. A further extension of this principle to the International Criminal Court is still far off and the road to Rome will not be easy. After Ambassador Xue’s team headed back to China, challenges to this endeavour appeared. Critics believe if the sovereign integrity argument was refused by the International Court of Justice, the legitimacy of this consistently adhered-to position will be undermined. This was later proved to be not at all pessimistic. 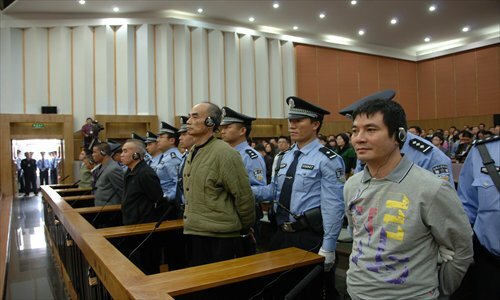 After all, China has much to learn in defending its national interest through the international justice system. Yet the signal is clear, China is getting on board! The recent murder of 13 Chinese sailors on South-East Asia’s Mekong river triggered unprecedented joint international naval patrols by China, Laos, Myanmar and Thailand to provide security along parts of the estimated 4900 Km long river. After crossing the Tibetan plateau and leaving China’s Yunnan Province, the Mekong flows southwest and forms the border between Myanmar and Laos for about 100 kilometers. It then turns southeast to form briefly the border of Laos with Thailand, then flows east and south into Laos for some 400 kilometers and defines the Laos-Thailand border again for some 850 kilometers as it flows east. It then reaches Cambodia, providing significantly for the country’s fishing and rice farming economy. Finally the Mekong empties into the South China Sea and upon entering Vietnam, subdivides into the Mekong Delta. The Mekong flows at the hearth of the so-called “Golden Triangle”, an area overlapping the mountains of Myanmar, Vietnam, Laos, and Thailand which has long since been one of the most extensive opium and heroin-producing areas of Asia and of the world. More recently, the drug production and trade has shifted to methamphetamines. According to initial reports, the sailors were attacked in October when sailing aboard two ships in the Golden Triangle area. Some of the sailors had been found in the river with their hands tied behind their backs, some were blindfolded and some had been shot. The ships were recovered by Thai river police after a gunfight. Some 900,000 methamphetamine tablets worth more than $3m were found aboard, hence drug smugglers were initially suspected of the attack. In response, China suspended all shipping activities on the Mekong and urged Thai authorities to arrest those responsible. Later reports suggest the involvement of 9 Thai soldiers attached to an anti-drug task force who surrendered shortly after the attack and are now facing prosecution. While the motives of the attack appear closely linked with drug trafficking, the economic and political interests of the Mekong’s numerous riparian States give an international dimension to the incident. Seasonal variations in water flow and the presence of waterfalls have historically made navigation of the river difficult, thus dividing, rather than uniting, the people of the Mekong. 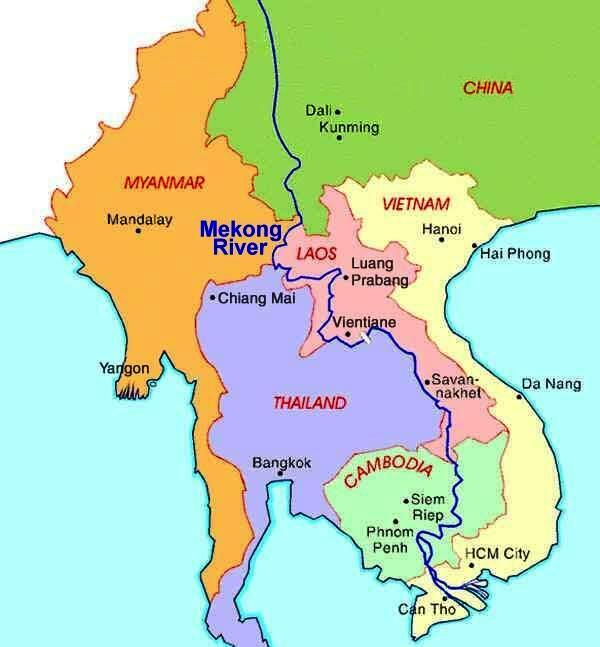 In 1995, following the UN mediation, Laos, Thailand, Cambodia and Vietnam established the Mekong River Commission to assist in the management and coordinated use of the Mekong’s resources. In 1996, China and Myanmar became “dialogue partners” of the Commission and the six countries now work together within a cooperative framework. Recently, each of these countries have been notoriously engaged in lengthy discussions regarding a Chinese-sponsored hydroelectric dam construction project – currently suspended – and its overall impact on the region. The patrols mark a significant shift in China’s long standing policy of non interference in other States internal affairs. The patrols are said to be the first instance of Chinese police being deployed outside their territory without a UN mandate. It is thus not surprising that China is taking a leading role in the operations. The patrols are headquartered in China with stations in each of the other countries. At a meeting in Beijing, ministers from all four countries agreed on the new measures. 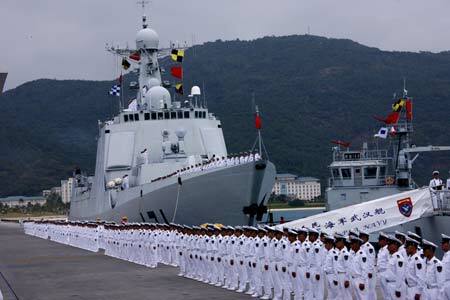 China contributed with the deployment of 200 police officers and 11 ships. The plan also involves police departments in the four countries setting up a coordination team to explore further security measures. Finally, China will also help train and equip police in Laos and Myanmar for the patrols. It is problematic to fully assess the legal framework in which the patrols could be deemed to operate as well as their relation with anti-piracy and armed robbery efforts. Interestingly, a cursory review of the history of piracy reveals limited reported instances of so called “river piracy”, mainly consisting of fluvial criminal activities in the 18th century within the USA. However, lacking its most fundamental element, namely the occurrence of the attack in the high seas, the Mekong incident squarely falls outside the relevant provisions of the Convention on the Law of the Sea (UNCLOS) relevant to piracy. Yet again, there appears to be a situation where the current applicable specialized international legal framework is not directly applicable to contemporary criminal activities or is capable to address their underlying root causes and overall impact, particularly in areas of flourishing economic development. States (including signatories to UNCLOS) are free to adopt broader definitions of piracy applicable to internal waters. However, the current trend is to legislate the definition in Article 101 of UNCLOS. Armed robbery at sea pertains to piratical acts within the territorial sea, but criminal acts within internal waters (even if such waters have an international character) remain unaddressed. The most important upshot to the situation at hand is that the principles which could resolve competing claims of police and judicial jurisdiction over criminal activity along the Mekong are not codified. Recourse to the current, yet scarce and developing, legal framework attaching to international rivers might therefore provide for more focused analysis. Rivers are ordinarily considered as part of a country’s internal waters. However, rivers are also often used to demarcate borders. More importantly, lengthy rivers could cross several countries, reflecting a wide range of political, geographic, economic and cultural circumstances. The Mekong, the world’s 10th longest, is one such international river. These are also referred to as shared or transboundary rivers, as well as international watercourses. Riparian states, namely states through which a transboundary river flows or form part of its borders, developed riparian rights and obligations normally confined over the use of the river for livelihood or sustainability purposes. Riparian States traditionally resorted to specific watercourse agreements or treaties to regulate the use of a shared river. Much of these rights and obligations are defined by the UN Convention of Non-Navigational Use of International Watercourses, which has yet to enter into force. Among its key guiding principles, contained in Articles 5 and 7, are the “equitable and reasonable utilization” and the obligation “not to cause significant harm” to other riparian states. Literature on sharing international rivers define these as both catalyst for cooperation or conflict but also points to several important benefits from a structured cooperation among riparian states, including environmental, direct economic, political, and indirect economic benefits. Instances of state cooperation, however, seldom refer directly to issues relevant to the security of the watercourses, with the exception of risks deriving from pollution or excessive exploitation. Notably, Articles 7 and 8 of the UN Watercourses Convention requires States to “take all appropriate measures” to prevent or mitigate significant harm to other States as well as a general obligation to cooperate among riparian states. Control of international rivers is inextricably linked with economic opportunity, national security, society and culture. It is within this general framework that the agreed cooperation over patrolling the Mekong and ensuring the safety of its navigation, in essence an international basin or watercourse agreement, should be seen. Such cooperation could cut individual States security costs and further their overall benefits from the use of the river, addressing issues of policing, extradition and prosecution as well as solidifying channels of communication between riparian states to address a potentially volatile situation. In other words, better security over the river will promote unity and integration among the riparian States and more possibility for each of them to manage the development and use of the river.